• 1825 : Well before the discovery of briarwood the COMOY family manufactured pipes in the small village of Avignon, near to Saint-Claude, mostly in boxwood for the "Grumblers" of the Army of Napoleon. 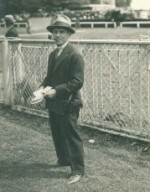 • 1850 : Birth of Henry COMOY, founder of the brand. • 1856 : Discovery of briarwood and particularly the special treatment it required for the making of pipes. 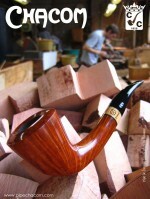 Saint-Claude becomes the birthplace of briar pipe manufactures and the world capital of pipe-making. • 1870 : Henri COMOY, prisoner of war in Switzerland meets his cousins the Chapuis and ruminates the idea of an association. • 1879 : Henry COMOY emigrates to London with some of his technicians from Saint-Claude and establishes the first English pipe factory in England H. COMOY & C° LTD. 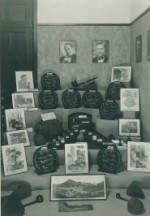 The Saint-Claude factory supplies them with briarwood and pipe bowls. • 1922 : After the First World War the association COMOY and CHAPUIS is realised and the Saint-Claude factory becomes CHAPUIS COMOY & Cie.
• 1924 : Death of Henri COMOY. His sons Paul and Adrien assume the direction of the factories in Saint-Claude and London assisted by their cousins Emile and Louis Chapuis. 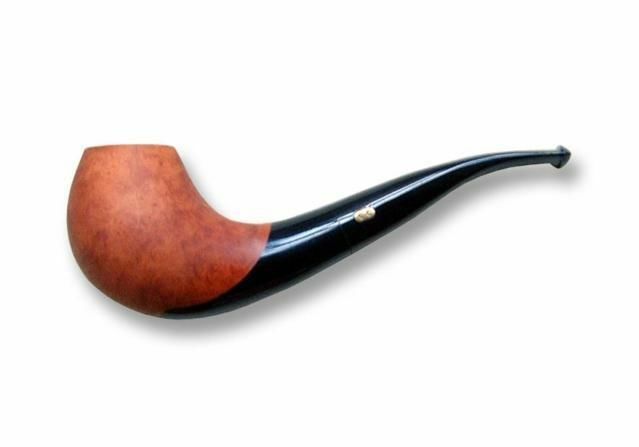 • 1928 : London now able to produce their own pipes, and in order to develop the Saint-Claude factory, the brand CHACOM is created, using the first three letters of the COMOY and CHAPUIS families. 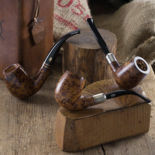 Up till 1939 CHACOM was offered only in France, Belgium and Switzerland in order not to embarrass the COMOY pipes which had the same shapes and qualities. • 1932 : The world economic crisis reaches Saint-Claude. To weather this problem Chapuis Comoy & Cie joins with another company under the name of LA BRUYERE, forming the biggest pipe concern in the world with 450 workpeople. Big trucks were needed to transfer the briar blocks from the drying shed to the factory. • 1945 : After the Second World War CHACOM assumes its entire commercial liberty and launches a complete and modern range of pipes. 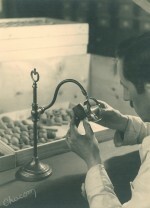 • 1946 : Chacom becomes the principal brand in France and Belgium. • 1957 : In face of the commercial preponderance of the brand CHACOM the company La Bruyère returns to the name of CHAPUIS COMOY & Cie.
• 1964 : Death of Adrien COMOY. His son Pierre succeeds to him in London. Mr REED is the Chairman and Managing Director in Saint-Claude. • 1971 : Having recovered its independence from COMOYS of London, Yves GRENARD, second cousin of Pierre COMOY, takes over the Direction of Chapuis Comoy & Cie and at the same time the exclusive sale of H. COMOY & Ltd, in France. 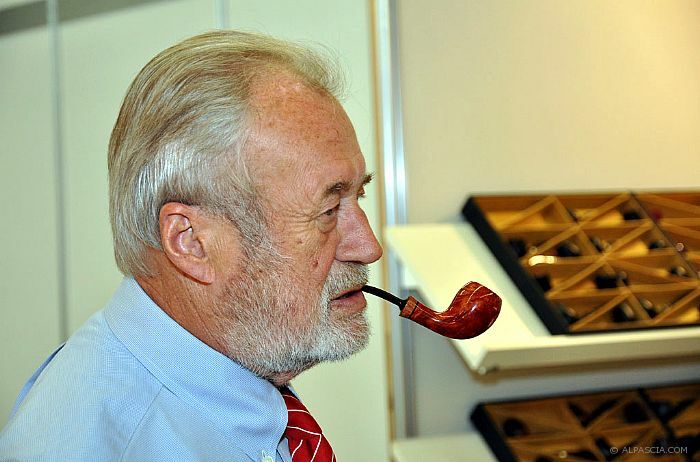 • 1978 : Pierre MOREL, independent free-hand pipe maker, creates for Chacom a line completely hand made the Chacom Grand Cru. 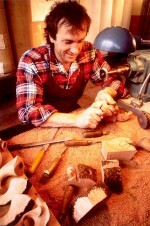 He is the creator of the free-hand shapes Naja and "Fleur de Bruyère". • 1987 : Pierre MOREL joins the team Chapuis-Comoy as full-time. • 1994 : Chapuis-Comoy integrates ROPP company. • 1999 : The Pipe Trade Association signed a contract with the authorities for developing pipe industries. One of the action is the co-operation with designers who create the new PASTEL Collection and specially the HEDO and CYCLADE for Chacom. • 2001 : Yves GRENARD designed for Chacom the MILLENIUM, a new line for one thousand years as a new shape will be designed each year. • 2003 : Another design line by Erwin VAN HANDENHOVEN with black or nacre insert. • 2007 : Antoine GRENARD, Yves's son takes over the management of CHAPUIS-COMOY & Cie. 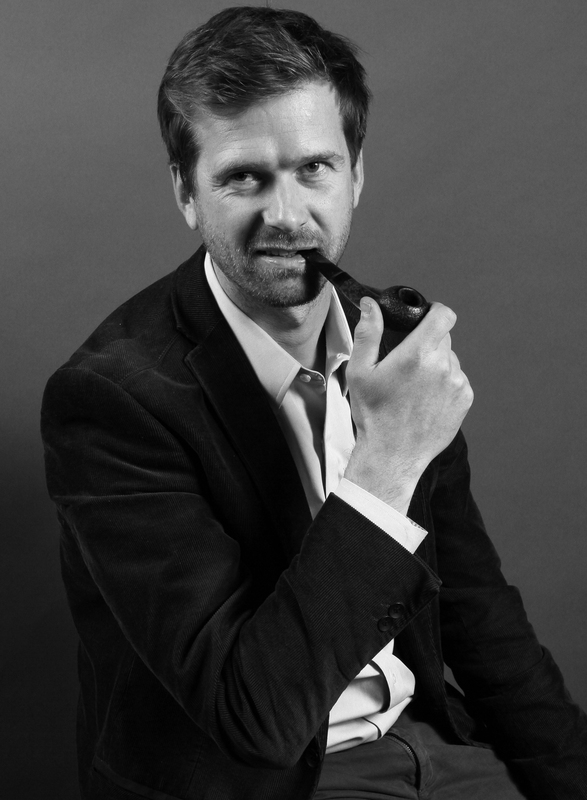 Graduated from a Design University, he creates several new models ( Sphère, Vulcano, Monza... ) all modern shapes with keeping the renowned know-how and quality of the CHACOM pipes. • 2013 : Chapuis-Comoy & Cie obtain the Entreprise du Patrimoine Vivant (EPV) label, a mark of recognition of the French State, put in place to reward French firms for the excellence of their traditional and industrial know-how. 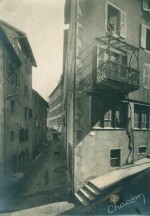 • 2016: After more than a century in the Faubourg Marcel, the pipe maker's area in Saint-Claude, the company CHAPUIS COMOY & Cie leaves its old mythical factory and moved a few kilometers away, to Villard-Saint-Sauveur, in a new building perfectly adapted for the contemporary activity and Chacom's new ambition to show the manufacture of pipe and a skill that hasn't changed for almost two centuries. This new location allows the opening of a factory store and a museum exhibition, a place that deftly mixes tradition and modernity and tells the story of an iconic industry in the Jura that work radiates worldwide. Les pipes Chacom s'exportent dans 35 pays à travers le monde.